Hey guys… welcome to our website. Are you preparing for competitive exams? Searching for general knowledge topics? Looking for GK & current affairs syllabus? If your answers to these questions are yes, then this article helps you. 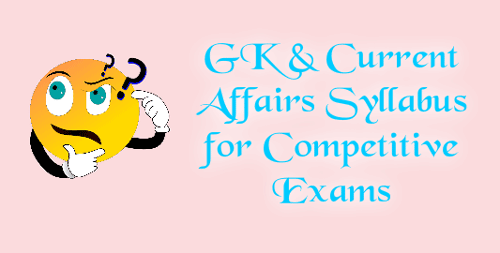 Here in this post, we are providing complete information on GK & current affairs syllabus for competitive exams. Many of the young graduates are aspiring for government jobs. There are many competitive exams conducted in India every year. There are competitive exams like UPSC, SSC, Banking jobs and many more. Some competitive exams are conducted in single stage exam and some other competitive exams are conducted in multi-level stage exams to qualify for the exam. There is different syllabus for various competitive exams. But out of them for some competitive exam the common subject in syllabus is GK & current affairs. The general knowledge subject consists of multiple topics and sub topics. The questions in general awareness are divided into many sub-topics. The exam level and pattern of general awareness differs for different examination. Some exams have limited syllabus of GK & current affairs, but for some exams, the test consists of entire GK & Current Affairs syllabus. The UPSC civil services exam is conducted to recruit candidates for IAS, IPS and IFS posts. There are preliminary and Mains exam in UPSC CSE exam. General awareness is included in preliminary exam. In UPSC preliminary exam the syllabus for general awareness is based on multiple and broad category of general knowledge and it also consists of sub-topics of Indian constitution, Indian and world geography, Indian and world politics, Environmental science and ecology, history of India and the world, current affairs, economics and social development, general science and applications etc. This topic assess the knowledge and awareness of candidates towards current events happening around India and the world. The national and international significance consists of events related to the world and Indian politics, Education and literature, discoveries and achievements in the field of science and technology, sports, united nations and its works in recent times, awards (world and India), events of different countries (local and international relations), recent events in different fields, terrorism/Anti-terrorism. The topics of History are Kings and their reign, Empires and their reign, History of the India and the world, Civilizations, East India company and its acquisition of India, Invasions on India, Historical events in India and world significance, International relations on India in past, Movements and revolutions in India, Major revolts and movements of the world, British rule on India, Battles and their impacts. These topics include the resources and Earth materials, minerals, Forests, classification of disasters and disaster management, Impact of mal-practices with the earth, geographical knowledge of major parts of the world and India, conversation of resources, oils and gases, world geography and significant information about changes in world and economic effects of various aspects, Rocks and types of rocks, representation of Earth and its layers, Issues and problems, Area-wise distinguishing of metals and minerals. Laws and rules, Governance and related aspects of a government rule in India, Indian civics, Political parties, Human rights and duties, Political system and its working, Important events related to the Indian politics, Ministries and selection of governing party, Policies for the public, provisions, various legislative terms, Indian politics and history of government in India, Selection and voting for the government. Indian Economy and process divisions, national reports and surveys, economic reports and various aspects of a country’s economy, social development in India, plans and policies for economic and social development of public, current events related to world’s economy, Issues and remedies to various problems in the development of a country’s economy etc. The GK & Currents affairs syllabus for all competitive exams in topics of environmental science, biodiversity and ecology include pollution, climate changes, effects, the conventions and meetings about environment, ecological surveys and changes in the bio-diversity and related aspects, disasters and calamities related to environmental and management of problems, resources, conversion of forests and natural resources, problems and remedies, etc. 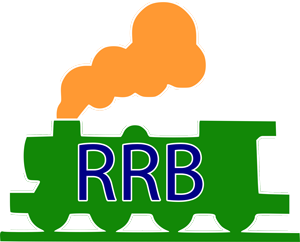 The topics includes science of body (human), discoveries in science, matter and principles, history of inventions, aspiring projects and related scientific achievements of India and other nations, general application of science in daily life, general science in relation with national and international significance.